I have read nearly all of Spooner's books and enjoyed them! Her Skylark series, her Starbound series, Hunted, and Unearthed. Hunted is my favorite book of hers. I cannot wait for this new standalone! Ooooh this book definitely sounds like something I would absolutely enjoy. Maybe this will be my first Meagan Spooner book. Marian as Robin? I could go for that! Plus amazing cover! Ah yes! I've had this on my list for awhile now! Cannot wait to read this one either! I saw this cover recently and fell in love😁 Yes, this sounds amazing. Great choice, Alyssa! I've only read Hunted, and that was only this summer! LOL This one does sound intriguing!! Hope it meets your expectations. I enjoyed Hunted so I'll probably check this one out. 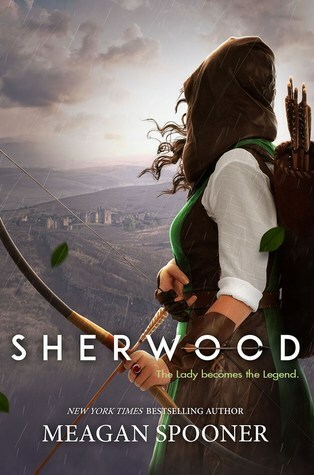 Plus, girl Robin Hood! This should be good.